Whether you want to remember slow afternoons at home or your family's weekly trips to your favorite taco shop, storytelling sessions are the perfect way to memorialize your routines and traditions. I will work with you to plan out your session to make it the most meaningful and enjoyable, then come to your home or other favorite place and simply capture the magic as it unfolds. These sessions are laid back, with a little bit of direction from me to ensure that everyone enjoys themselves and has a great experience. Little Moments Storytelling sessions are typically 2 hours long and include an online gallery of hi-res images that will be emailed to you approximately two weeks after your session. AKA, newborn sessions! Whether you want me to come straight to the hospital or birth location after baby arrives, or give yourself a couple of weeks to recuperate and have me come to your home, there's no better time for pictures than when meeting a new family member. Similarly to Little Moments sessions, newborn sessions are very laid back with a lifestyle approach to baby's first portraits (read: no baskets or props). I'm always on the lookout for moments and will provide a little more direction with these sessions so that you get to remember all family members interacting with baby. These sessions can also apply to adoptions, military/missionary farewells and homecomings, and more! Anything you'd consider a big moment or a big adventure is a perfect opportunity for pictures. 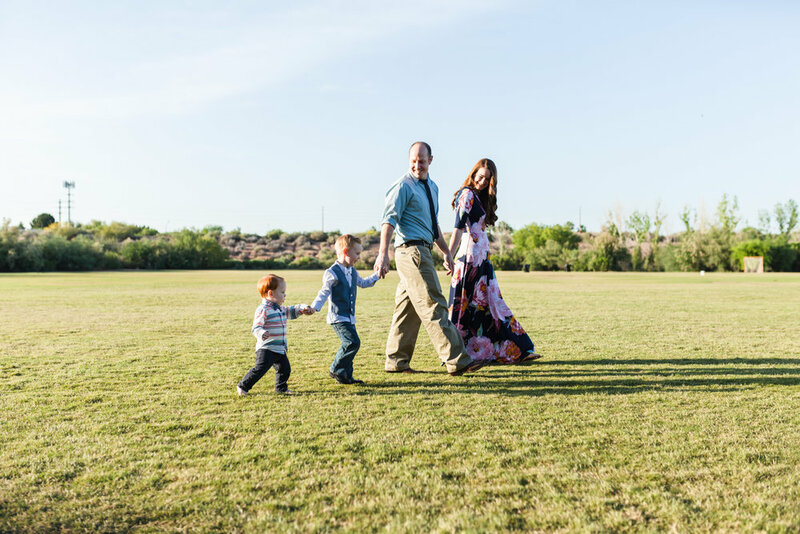 These sessions are perfect for getting updated family portraits in a pretty place. Offered seasonally, these sessions are about 30 minutes long and will take place at a location of my choosing. They'll be full of fun, but with more direction from me to get all the moments we want captured in a short time frame. Use the button below to be notified via email when these sessions are booking! Don't quite see what you're looking for? I take on a limited number of birth sessions, small business photography, and other portrait sessions each year. Use the button below to contact me for a custom quote.